So not wanting to think about dinner tonight I created this. 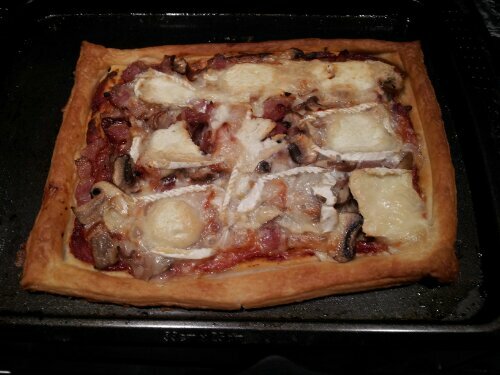 Basically bought puff pastry then layered with red pesto, a little tomato sauce, cooked red onion, bacon, mushrooms and then topped with goats cheese. 15 min in an oven at 190/gas 5, pop on a plate with some salad and dinner is sorted. Yum.